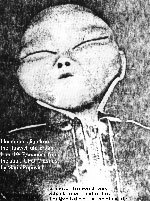 This page contains some excellent real cool pictures of aliens and pictures of ufos. Of course we encourage you to use your own judgement as to the authenticity of these pictures and the information. However as you can imagine creating these cool pictures of alien and ufo phenomena is not easily done. I don't see why so many people would go to all the trouble either of inventing these pictures and photos anyways. We invite you to show these pictures to your friends. We will update this site frequently with new cool pictures of aliens. The above picture was taken in the years around where the Roswell UFO crash was reported. 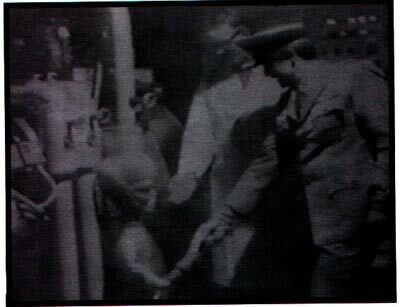 Some of the elite people of this world who had intimate knowledge of ufo's carelessly left this picture around and someone passed it around until it got onto this site.